This morning’s decision by the European Court of Justice to maintain the EU ban on the oral tobacco product snus has been criticised by a UK harm reduction charity. The New Nicotine Alliance had intervened in the case on behalf of the EU’s 100 million smokers to defend their right to health in being able to choose safer nicotine products. Snus is a popular and effective harm reduction product which has helped hundreds of thousands of former smokers in Sweden and Norway avoid the risks of combustible tobacco use. The Scholarships will commence at the Global Forum on Nicotine (GFN) Conference in Warsaw, Poland, between 13th to 15th June 2019. We want people to learn from GFN and have the opportunity to implement this learning in their home countries. There will be 20 Scholarships for the year, with funds available to support agreed projects up to the value of $10,000. The Scholarships are a K•A•C initiative funded by a grant from the Foundation for a Smoke-Free World (FSFW). Earlier this week, the All-Party Parliamentary Group (APPG) for Vaping, recommended a fundamental liberalization of workplace vaping policies to encourage more smokers to switch to vaping. The NNA issued a statement saying that it “warmly welcomes this report” and would like to see these recommendations implemented in full. 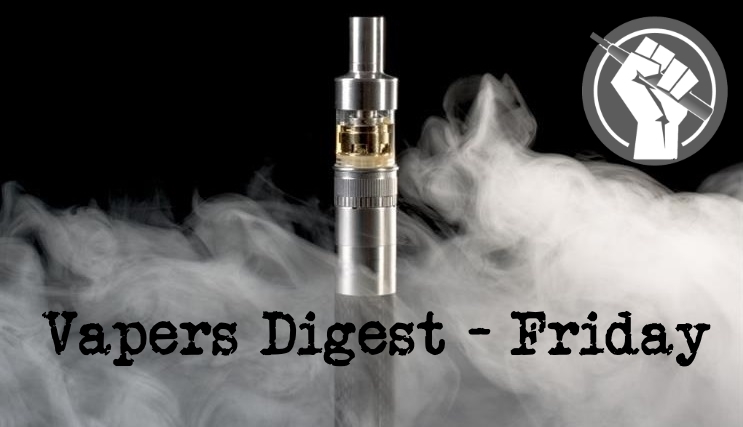 The organization added that being practical and evidence-based, these policies would contribute to clearing the current confusion and misinformation that currently exists towards vaping. I always found the statement “The Industrial Revolution Runs Away” a very interesting take on disruptive technologies (like vaping). Government can’t control everything. Wright figured this out in 1932. Today, some 85 years later FDA is cracking down on JUUL; wrestling JUUL down by the horns to prevent “the children” from vaping. First, the critique. Kicking the policy can down the road is often expedient, but never wise. Not least when every day 200 people die from failure. That is where we are on UK tobacco policy. It is an important-but-never-urgent issue starved of the political attention it merits. Our health ministers rarely cover themselves in glory: Edwina Currie succeeded in banning the smoking substitute snus – a product responsible for the astonishing collapse of smoking in Scandinavia. Smoking rates in UK young adults plummeting since rise in #vaping. Rate of decline since 2014 3x pre-vaping trend. Only 0.4% of non-smokers current vapers. Where is the #gateway? Clive Bates spoke about disruption during the third session at the E-cigarette Summit 2018. He highlighted the areas that have driven or undergone change and made a forecast for how he sees the future, both in the USA and globally. Ultimately, he argued, the power remains in the hands of the consumer. Doctor Konstantinos Farsalinos opened up the second session of the E-Cigarette Summit by looking at the prejudice and predisposition against vaping within the scientific research community. He gave examples of the bias and demonstrated how easy it is to select data to support an ideological agenda. Further questions about vaping have been asked in the House of Commons and the House of Lords. Lord Vaux was keen to push the hysterical American approach to regulation, but was knocked back. The rest of the questions demonstrate how Parliament has a mature approach to harm reduction. Pressure continues to mount on Stanton Glantz and his employer, the University of California San Francisco (UCSF). New allegations of sexual harassment have come to light, and another official complaint has been lodged. Plus, Glantz was heckled about his behaviour when speaking at a UCSF event last week. How long will it be and how many complaints will it take until UCSF terminates his employment? Exposure to risky toxins is a regular feature in mainstream media vaping coverage, and it would be a valid concern if the studies being covered by the press were honest scientific inquiries. Unfortunately, they’re often not. Research is frequently designed to facilitate anti-vaping propaganda. Back in February, we covered a Johns Hopkins University study that purported to find dangerous levels of metals in e-cigarette vapor. The study was briefly a fixture in news coverage, as many scary vaping stories are. Reporters covered the Hopkins study uncritically, assuming that the research was legitimate and meaningful. Last weekend, Vaping Post’s founder Ghyslain Armand was at the Vapexpo exhibitionin Las Vegas. Before he had even landed, Ghyslain was informed that someone would like to meet him, and not long after he had arrived in Vegas, he found himself shaking hands with the most renowned ex-smoker in the United States, the “Winston Man”. In the 80’s, before the Big Tobacco litigation scandal broke, David Goerlitz was an attractive advert model for the Winston brand, who was filmed carrying out various physical activities whilst smoking. However, eventually Goerlitz did a total U-turn. We know that smoking is deadly and addictive. It is directly responsible for over 100 deaths a day in our country; our largest cause of preventable death. But because of addiction, and a variety of other reasons, Canadians continue to smoke. The second Asia Harm Reduction Forum convened in Manila on November 14. Organized by the Harm Reduction Alliance of the Philippines (HARAP) and the Indonesian Public Health Observer Foundation (YPKP), its purpose was to strategize on reducing the harms of smoking combustible tobacco in the world’s largest continent. More than half of the world’s 1.1 billion smokers live in Asia. According to the World Health Organization, China’s smoking rate among men is 42 percent. In Indonesia, the world’s fourth most populous nation, the male smoking rate is a whopping 65 percent. The Associate Minister of Health, Jenny Salesa (pictured) announced progressive new regulations on vaping and other smokeless tobacco products today. ATHRA applauds the regulations which find a sensible balance between helping smokers to switch to safer products and protecting people who don’t smoke, particularly young people. Anti-tobacco groups are divided over new regulations restricting the sale of e-cigarettes in South Australia which have been described as “draconian”. SA is the last state in the country to introduce regulations around the sale and use of e-cigarettes and is the first to ban their sale online or by mail. Researchers have raised ‘serious concerns’ that nicotine may cause schizophrenia. However, there is no evidence to support the claim. The study in the journal Frontiers in Psychiatry by researchers from Australia and Finland aimed to determine if SMOKING CAUSED schizophrenia. People with schizophrenia are more likely to smoke and it is important to find out if smoking is one of the causes. The study finding was that the current evidence is inconclusive. And this just about sums up the level of knowledge and attainment on the topic achieved by most of the public, the majority of news reporters and those regiments of regulators who line up daily to snipe at vaping and vapers. They have seen people vaping. A British government agency has accused a trio of top Australian public health advocates, including prominent anti-smoking campaigner Simon Chapman, of putting a “series of factual errors” to a parliamentary inquiry into vaping and the use of e-cigarettes, which are effectively illegal in Australia.